It was our last day in southern Utah. 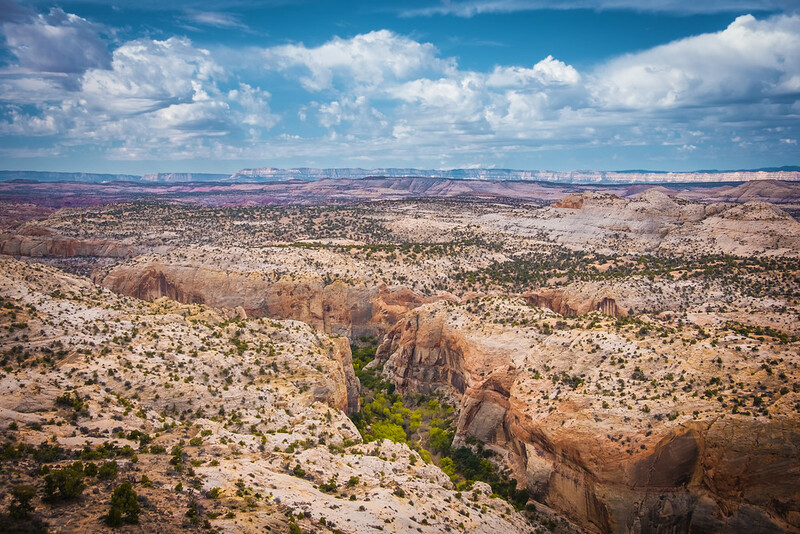 Before transitioning to the California leg of the trip, we wanted to experience the canyons of the Grand Staircase-Escalante National Monument one more time. After our driving adventure the day before, we were eager to engage in more physically demanding exploration. The choice for the day’s activity was to hike to the Lower Calf Creek Falls. It is arguably one of the most scenic hikes in the region and, as a result, is very popular among tourists. 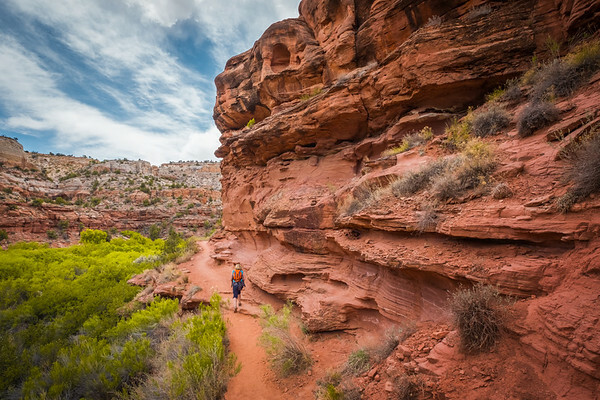 As a rule, some of the most interesting trails in the Escalante area are located in remote areas. 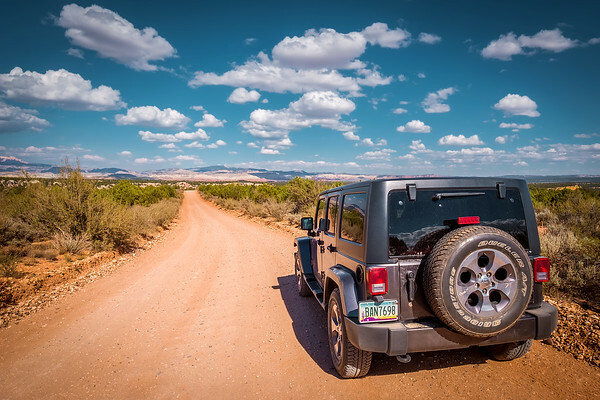 To reach many of the trails, you must drive for tenths of kilometers along dirt roads, some of which are incredibly rough. 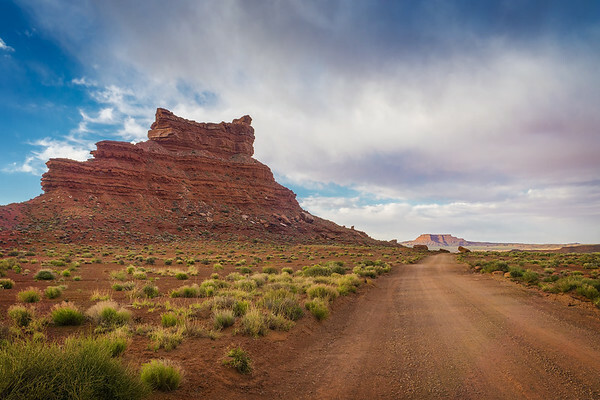 Next, you typically have to walk an hour or more through the heat of the desert before you reach the trail’s main attraction. 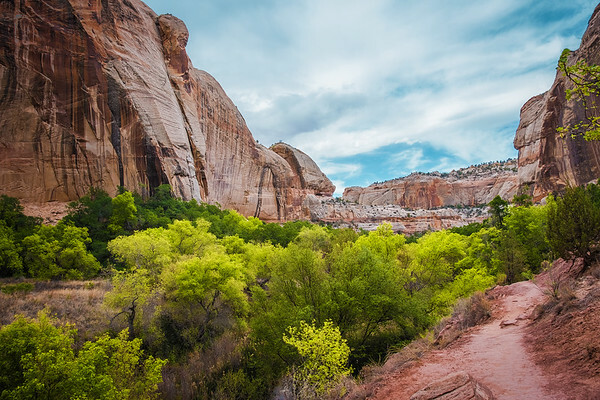 Between the dirt roads and the hike, this limits the number of people who reach those areas, which is why you can walk for hours without seeing any other hikers. The Lower Calf Creek Falls Trailhead is different, however. 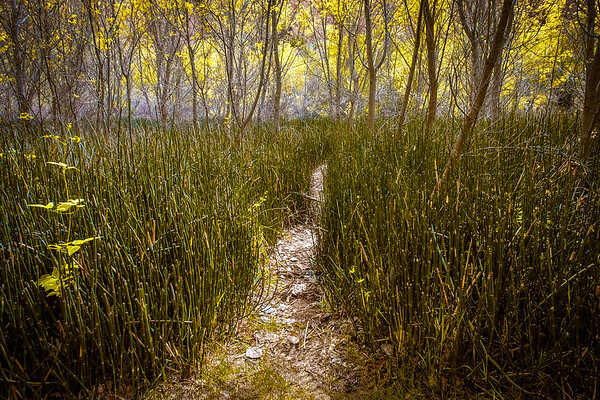 It is located just off the Byway 12 and is extremely accessible, which is why it usually attracts large crowds. 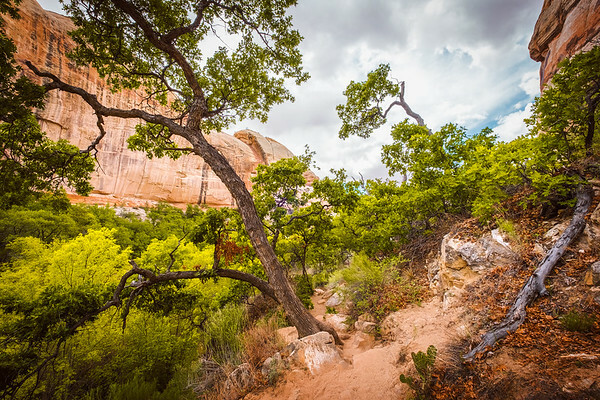 The view on the Lower Calf Creek Trail from the side of the Byway 12. I learned a long time ago that crowds and landscape photography do not work well for me. As a landscape photographer, I always wanted to capture the iconic Horseshoe Bend of the Colorado River in Arizona at sunset. One year, I organized my entire trip around achieving my dream. I made sure I stayed near Horseshoe Bend for three nights to increase my chances of taking the right shot. You can imagine my surprise and disbelief when I found, I kid you not, about 500 people waiting to watch the sunset around the bend. Half of them had tripods and DSLRs. It was mind-boggling to find so many people in such a relatively remote area. It completely spoiled my experience and I left without taking any photos. Since then, I do my research well in advance and only visit areas where I have a good chance of enjoying solitude and serenity. To maximize our chances, we planned our hike on a weekday. We woke up at sunrise and, after a one-hour drive along the spectacular Byway 12, we arrived at trailhead parking before 8:00 a.m. We were rewarded for our research and planning with only two other cars in the parking lot. The Lower Calk Creek Falls Trail is a 10-km out and back trail, so we knew that we could enjoy complete solitude for a couple of hours. 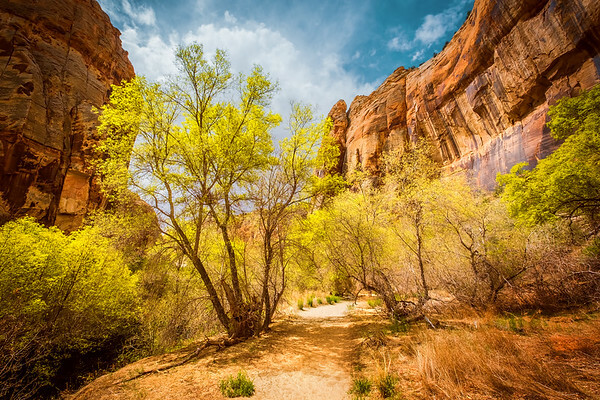 The entire trail follows Calf Creek and is hidden inside the deep and narrow canyon. 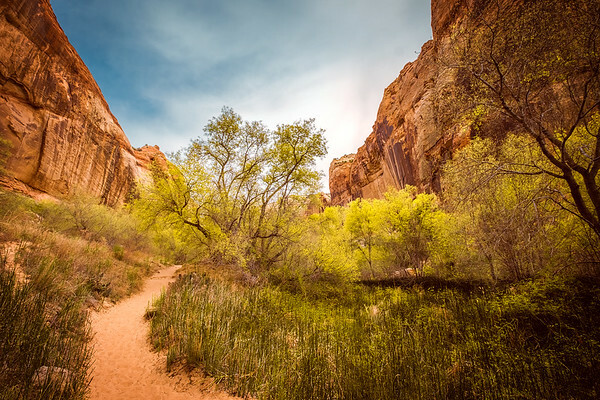 The trail itself looks like an oasis with plenty of vegetation along the creek surrounded by vast desert-like areas without any signs of life. 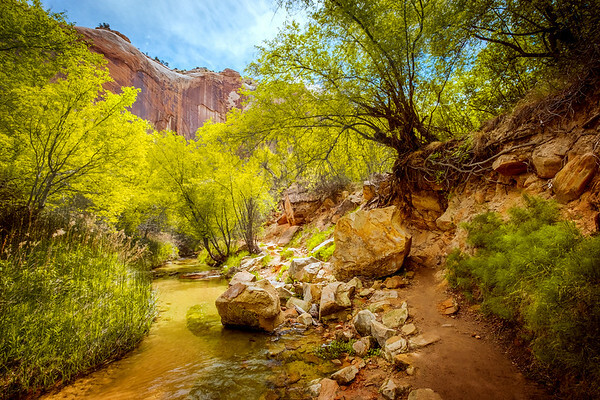 The final destination for the trail is a dead-end at the beautiful Lower Calf Creek Falls. After enjoying the Falls, you must turn around and walk back. Luckily, the trail is so beautiful and spectacular that it feels like an entirely new trail on the way back. When we reached the Falls, we found only one other person there and, 10 minutes later, we were completely alone. I had the freedom to experiment with different compositions without worrying about anyone walking into the frame. The hike is flat with almost no elevation but almost the entire trail is covered with sand, which makes it much more demanding than it looks. 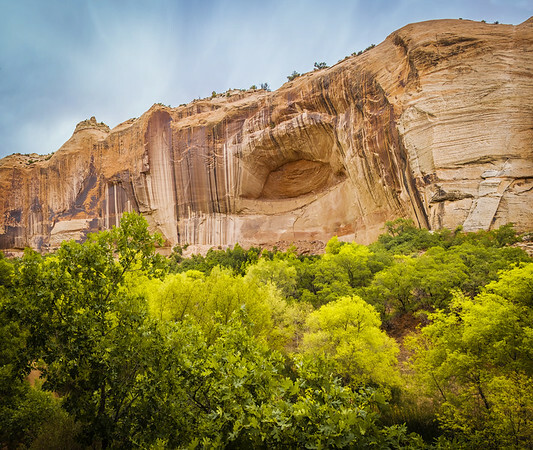 After visiting southern Utah for years, we were not surprised that even on a hot day with temperatures around 30C, we experienced two bouts of freezing rain. When we returned to our campsite that afternoon, we had plenty of time to unpack and get ready for the long 1,000k drive from the deserts of southern Utah to the Sierra Mountains of California. Beautiful. Really love these pics. 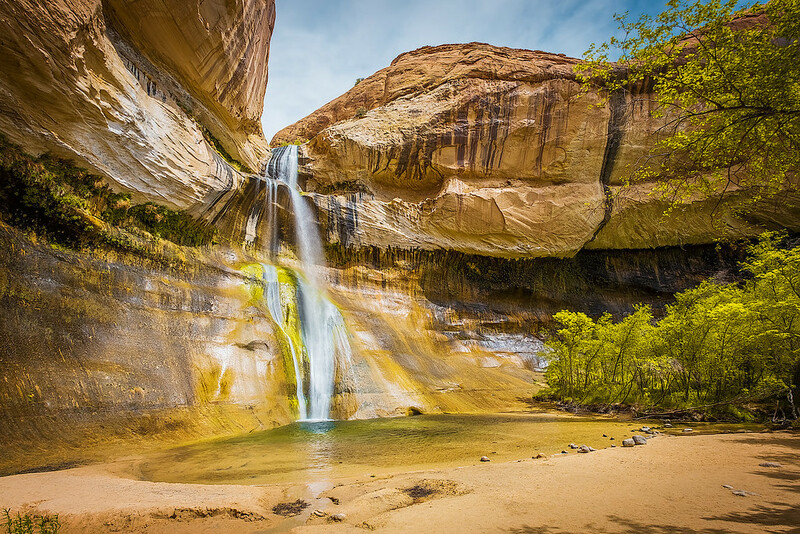 Stunning…must do next time I am in Utah..
One of my favorite images was at Lower Calf Creek Falls. My image is MUCH different from yours! The little boy in my image pretty much makes the picture.